Bruner earned a bachelor’s in electrical engineering from the SOE in 1971. 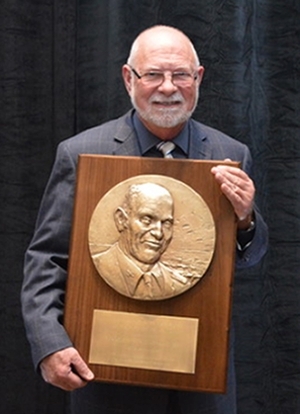 Upon receipt of the 2016 Weems Award, the ION detailed his distinguished career in a news announcement posted on ion.org. Photo: SIUE School of Engineering alumnus Charles Phillip Bruner earned the 2016 Weems Award from the Institute of Navigation.